Dr. Richard Ellenbogen is triple fellowship trained and board certified in plastic and reconstructive surgery. He is a Beverly Hills and Los Angeles Plastic Surgeon who has been practicing cosmetic plastic surgery for almost thirty-eight years. His specialties at this time include facial de-aging surgeries, such as rhinoplasty, facelift, eyelid surgeries, and neck and jawline rejuvenation. He is the go to guy for the revision of previous unsatisfactory surgeries for which he has been featured on television Prime Time. Dr. Ellenbogen is a former clinical instructor at the USC Department of Plastic Surgery and has recently won the Best Facial Plastic Surgery award from the Aesthetic Association in 2013. He has won numerous top doctors awards, including being Town and Country magazine 10 best plastic surgeons, Top Ten of America, and the Consumers Research Council of America, as well as the textbook of “Top Plastic Surgeons as selected by their peers.” He did his fellowships in Maxillofacial Surgery at the State University of New York and did a Hand Surgery Fellowship at the Hospital for Joint Disease in New York. He did a pediatric surgery Rode Kruis Ziekenhaus in The Hague Netherlands. He has been invited as visiting professor of both South Africa and Israel where he taught on his expertise to the doctors at that area. 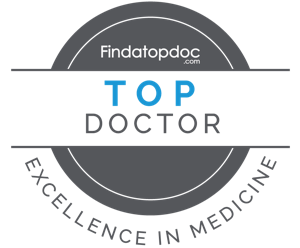 Dr. Ellenbogen has twice won the Physicians Recognition Award from the American Medical Association and won the Physicians Recognition Award from the California Medical Association. Dr. Ellenbogen has been featured in numerous magazines, TV shows and professional journals, including Allure, The Wall Street Journal, Time Magazine, Newsweek Magazine, Cosmopolitan, Business Week, New York Times, CNN, USA Today, Nightline, Primetime, Extra Hardcopy, Oprah, Australian television, Swedish television, and Dutch television. Dr. Ellenbogen has a pro bono clinic for cleft lip and palate in San Miguel de Allende, Guanajuato, Mexico and has volunteered at the Cleft Palate Clinic at the Clínica Noel in Medellín, Colombia. Dr. Ellenbogen is a Member of the American Society of Aesthetic Plastic Surgery, The American Society of Plastic Surgery, The Rhinoplasty Society, The International College of Surgeons, The American College of Surgeons, The American Society for Laser Medicine, and has been a visiting professor of both South Africa and in Israel. Dr. Ellenbogen has been a Captain in the Medical Corp. of the United States Army. He has been named in numerous lists as one of America’s Best Plastic Surgeons, where plastic surgeons select the best plastic surgeon by their peers; Dr. Ellenbogen was selected for Rhinoplasty and Facelift. Dr. Ellenbogen has been named the Top Ten in America and won the Aesthetic Association’s Top Facial Plastic Surgery in 2013 and has been honored by The American Society of Aesthetic Plastic Surgery for the best journal rhinoplasty article. Dr. Ellenbogen has recently finished a chapter in a textbook from clinics in plastic surgery on the neck and has worked for the past thirty years in improving the naturalness, the longevity, and the quick recovery of facial aging surgery. 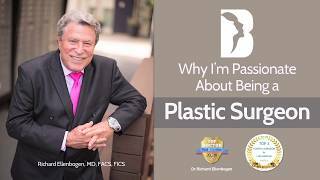 Dr. Ellenbogen in the past has been a silicone researcher and has performed numerous breast surgeries. He has worked with Dr. Janssen Delimpins in the Netherlands under the Premier European Plastic Surgeons to add his knowledge to his scope of American Plastic Surgery. Dr. Ellenbogen also completed a hand surgery fellowship at The Hospital for Joint Disease as well as completing general surgery training at the Albert Einstein College of Medicine. He is presently in his new offices in Century Park East in Century City specializing in the revision of unsatisfactory plastic surgery, rhinoplasty, facelift, eyelid surgery, neck surgery, and fat grafting. Doctor Ellenbogen studied portrait painting in college. During his summer vacation he illustrated brochures for a company selling homes in Florida to couples from up north. He remembers vividly showing his illustrations to his boss, who was dissatisfied. “Make them younger looking’ we’ve got enough old people in Florida. 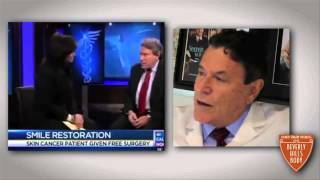 Dr. Ellenbogen went back to the drawing board and rejuvenated the necks, eyes and bodies. Today on a different palate he does the same thing. He carefully analyzed the older face and transformed the aging face to young vibrant faces. He is considered one of the world’s experts in neck, face and eyelid rejuvenation. Although today he uses a computer, for years he would demonstrate to his patient the changes they will see from his surgery by a quick acrylic painting. He exhibits this artistry daily on his satisfied patients.